Ready or not, it’s here! 2010 has arrived and today is the first official business day for many. This is also the time of year for Top 10 lists from ‘things’ last year and predictions for this year. So, nothing we can do about 2009 any longer, except learn from the results. We can look for what this year might bring as we begin anew! 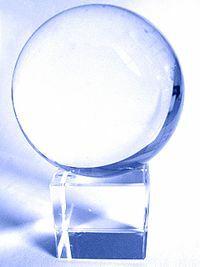 I don’t have a crystal ball to tell us what is ahead – but what I have are connections with AWESOME people in-the-know! I asked several international sales experts to share their top sales predictions for 2010. What do we have to look forward to? What do we need to plan for? What opportunities should we seize? This week I will share the predictions with you. You might agree, you might disagree, that is up to. I’m hopeful that the information helps you strategize your annual approach. What will the new year bring for sales reps? What will the new year bring for Sales Leaders? To begin the 2010 predictions, two savvy women! Jill Konrath, of Selling to Big Companies, Get Back to Work Faster and Sales Shebang and Nancy Nardin of Smart Selling Tools predict. More predictions each day this week – with mine on Friday. Along the way I’ll also share some great complimentary (as in FREE) resources to help you in 2010 and beyond. The first resource? A FABULOUS eBook on Smart Selling Tools – Free and full of lots of tools that are no cost or low-cost. Maximizing your time and energy will be key this year! You found two very smart people to talk to. Yes, 2010 should be the year Sales 2.0 makes a big difference to sales teams. I hope we can address some of Jill’s concerns by making 2010 a year we focus sales training on how sales teams can use Sales 2.0 effectively – and create substantial ROI improvements. Particularly helping them get in the door. 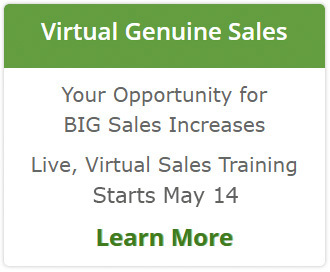 Definitely agree with the comments on Sales 2.0 and the need to continue with things like sales training. In fact, I think that the key to success will be combining some of the new techniques of Sales 2.0 with the fundamentals – building good target lists, educated prospecting, etc.